City centre hotels are a great way to stay close to all the action. But to really experience the soul of a city, you need to check out its neighbourhoods. That’s where you’ll meet the friendliest locals, drink at interesting bars and embark on memorable adventures. Book Nakula accommodation through Wotif and get access to the sights, attractions, arts, culture and nightlife the locals love, all wrapped up in the neighbourhood's distinct personality. Sleep, eat and play the way the locals do in a hotel that reflects the neighbourhood's flavour. All of our cheap Nakula accommodation deals provide easy access to the sights and sounds of the area. Many of the hotel options are entertainment hot spots in their own right, where guests can eat and drink till their heart’s content. Want to explore the 'hood? Drop the bags off in your room and experience the local haunts ASAP! Got a hankering to see more of the city? No problem—simply reserve a hotel with great transport links. From hotels with their own spas and the best views in town, to boutique properties that radiate charm, we've got the widest selection of characterful hotels. 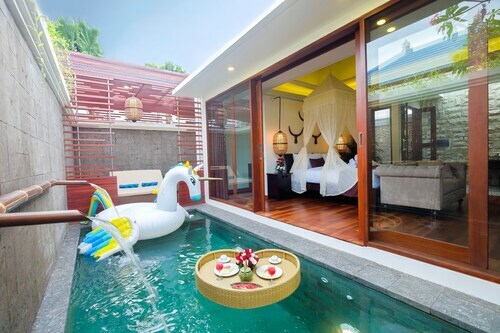 Browse Wotif to find top-rated accommodation in Nakula, from simple to luxe, at prices you can afford. Don’t bother with endless lists of hotels to search through; our easy-to-use search and book system lets you filter by budget, star rating, amenities and more. A few clicks and you're in the door. Now, where did you put that suitcase? How Much is a Hotel Room in Nakula? Hotels in Nakula start at per night. Prices and availability subject to change. Additional terms may apply. + The good stuff: Given the price, this is an amazing place - rooms as spacious as the images seem, bed was very comfortable, bathroom with tub, great water pressure in the shower with hot water (not a warm trickle). 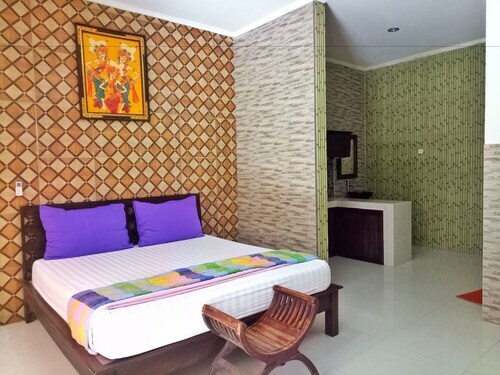 The location is within walking distance from Bintang Supermarket and lots of shops and restaurants in Seminyak, yet it is completely quiet - great to sleep peacefully. - to improve: a shuttle was not available though and I used google translate to communicate with staff when asking about bed sheets. There was no toilet paper and the kitchenette has a big fridge (clean but had been closed for a bit so the smell was not very fresh), but no stove, no plates, no utensils whatsoever. Internet worked well the first 2 days, but then it barely functioned and staff only shrugged and smiled when being asked about it. Best to get a (25GB) sim card and connect your phone if you know you will need wifi. Overall, I would come back (with a sim card) for sure! Locality was good, could walk to bintang supermarket, safe money changers, double 6 beach & several good restuarants. Minimal traffic noise. Private courtyard pool was great, unit security was good, bedroom & bathroom were roomy & storage was good. Outdoor kitchen was serviceable. Great to have reliable hot water & drinking water supplied. Did expect that for 2 people we would have 2 of certain things, eg 2 mugs, spoons, knives & forks, cereal or soup bowls. We had to ask for a second mug with a handle as only 1 had a handle. Disappointed with lack of communication eg that there was a laundry available on site. Cleanliness of villa was acceptable but did need some mould in bathroom attended to. Owner had been away & was disappointed in staff when he got back so if the staff are trained properly & could be reliable that would make a difference. 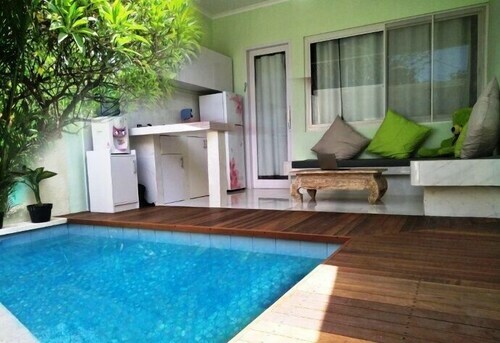 Would stay here again if I ever went back to Bali.